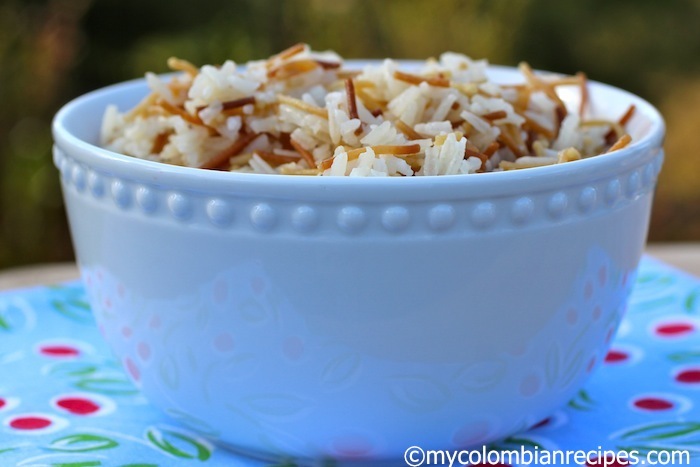 This is another Colombian rice recipe and as I’ve mentioned before in this blog, rice is a staple in a Colombian diet. 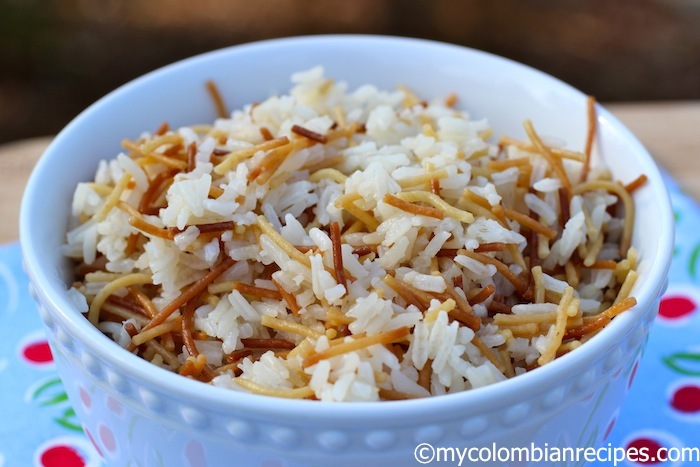 Arroz con Fideos is a popular recipe in my family. As children, we loved it because of the little angel hair pasta in the rice. In a small saucepan, heat the oil over medium heat. Add the angel hair pasta and sauté for 2 to 3 minutes or until the pasta is golden. Add the rice, stir with a wooden spoon and sauté for 1 minute. Add the stock or water, increase the heat to high and bring to a boil. Add the salt, cover and decrease the heat to low and cook for about 20 minutes or until the rice is tender. Remove from the heat, let it rest for 5 minutes and serve. 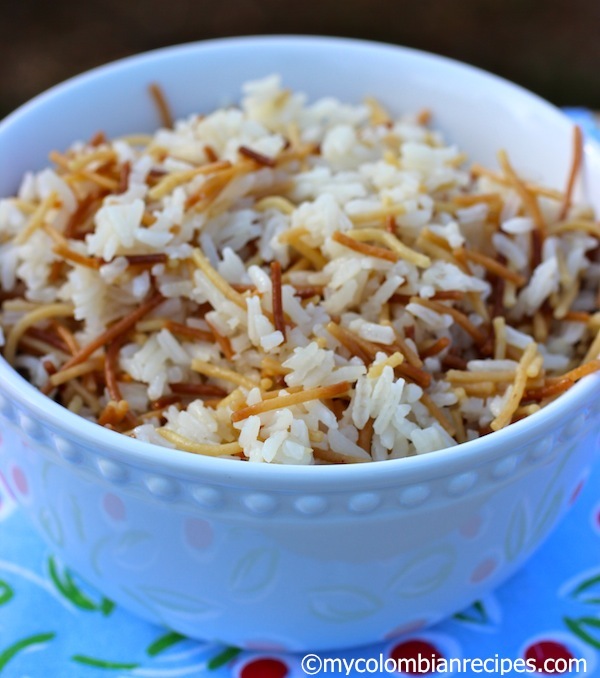 Angel hair and rice together – how neat! I will definitely be making this! I have never combined rice & pasta before, but have seen in mediterranean restaurants where they cook rice with orzo. & I like it. 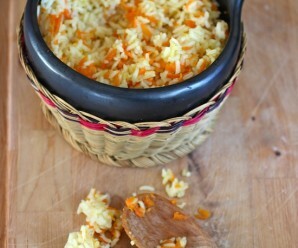 I love this rice as well, my grandma used to make it all the time. She also added crushed garlic to the oil before adding the noodles, the smell was amazing. You have to try this recipe, It is great for kids! How much rice do you add ? 1 cup of long-grain white rice. Erica since I found your website I can not stop visiting it every day. You should definitely write a book! 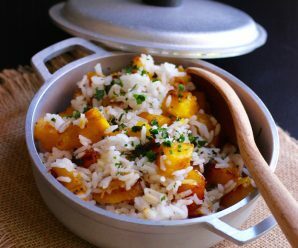 this rice reminds me of my grandmother’s recipe the only difference is that she added potatoes. Thanks so much! 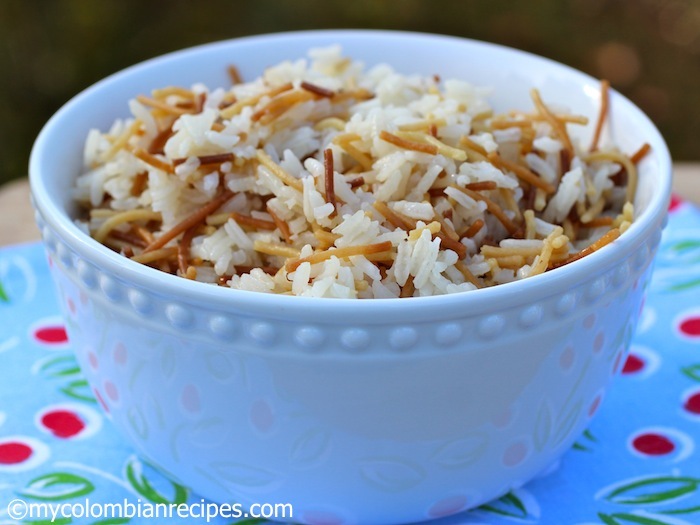 .. lovely blog,, this dish was brought to colombia and venezuela and other latin countries by middle eastern immigrants ..its a classsic pilaf with the xception in the middle east they would use ghee/clarified butter instead of oil. I make this all the time, it’s great with any meat that has sauce! Yummy! 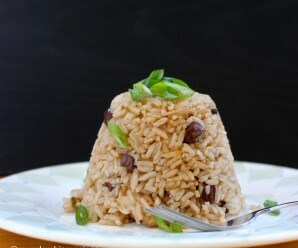 My husband grew up with this dish, but he and his siblings called it “wormy rice”. His mamita makes it for Thanksgiving and Easter every year. 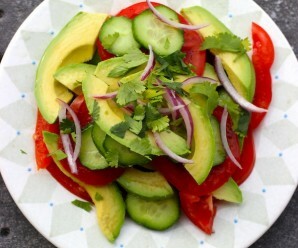 Such a great and simple recipe. Help! I need to make this dish in a large quantity. Should I just double the ingredients? The recipe makes 4 servings, but I need at least 10. Any tips/advice? My mom taught me to make this rice when i was 12. I make this rice 3 to 4 times a month. I add garlic and sometimes replace the water with coconut milk. We are call it Arroz con fideos or rice with noodles. My grandson loves it! Thank you Erika for your Colombian recipes!